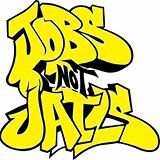 Wednesday, October 14, 2015, 11 a.m.
Joint Judiciary Committee Hearing on Jobs NOT Jails omnibus legislation, the Justice Reinvestment Act 1 p.m.
Join us at 11:00 am for a short rally and meeting with our legislators prior to the hearing. The entire Justice Reinvestment Act, S.64/H.1429, will be heard for the first time by the Joint Judiciary Committee on the 14th at 1 pm at the State House. This includes the provisions on jobs, changing some felonies into misdemeanors, ending $500 fine on ex-prisoners getting their driver’s licenses back, compassionate release. [The bill includes repeal of Mandatory Minimum sentences but that part was heard June 9]. We are hoping to replicate the success of our June 9th action and once again will rally inside the Statehouse prior to the hearing. More details about the rally to follow. Here is a great opportunity to share your story about why ending mass incarceration is important to you and essential to the Commonwealth! Thanks again to all who came out and packed Gardner Auditorium on June 9th in support of repealing mandatory minimum sentences and ending mass incarceration! Your presence made a statement. Legislators saw the vast state-wide support for repealing mandatory minimums for non-violent drug offenses. Let’s keep up the pressure!